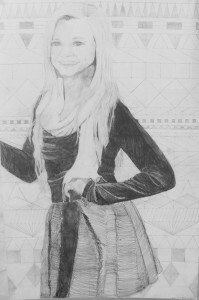 ART I draws a gridded realistic portrait. Here are some examples of Student Work from the North Stokes Artsonia Gallery. Art II draws a self portrait using the stippling method. Here are some examples of student work from the North Stokes Artsonia Gallery. Follow Janis’s board Art Ed. – Portraiture on Pinterest. YouTube Playlist from the Virtual Instructor on How to Draw Parts of the Face Using a Graphite Pencil.